I owe you a blog post about my trip to New York. It was a three day whirlwind of food, drink and friends and one of the friends that I shared a coffee with was Ronnie Fein, author of Hip Kosher (and a handful of other kosher cook books). 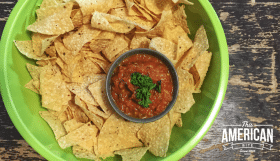 Ronnie and I became friends through our websites, she writes at Kitchen Vignettes and we often find ourselves thinking alike when it comes to food. Ronnie and I met at the delightful Sasha’s Coffee and spent a couple of hours talking about everything from food to childbirth! Today’s blog post isn’t about my trip to NY, but it is from the brilliant Ronnie Fein. 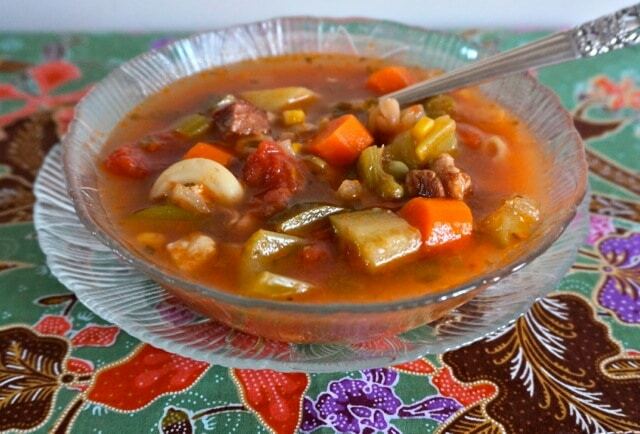 If you have $13 to spare, check out her book, and check out her minestrone soup below. This has been one tough winter. Droughts in the west, tons of snow in the east. Flooding. Cold. I find it unsettling and stressful, like a lot of people I know. Everyone knows that about soup, right? In fact, if you haven’t already read this somewhere, the word “restore” is how we got the name “restaurant” and the very first restaurants served only one kind of food: soup. Folks who were on the road or tired from work could get a bowlful of some potage or other and feel re-energized and ready to go back to whatever they had to do. 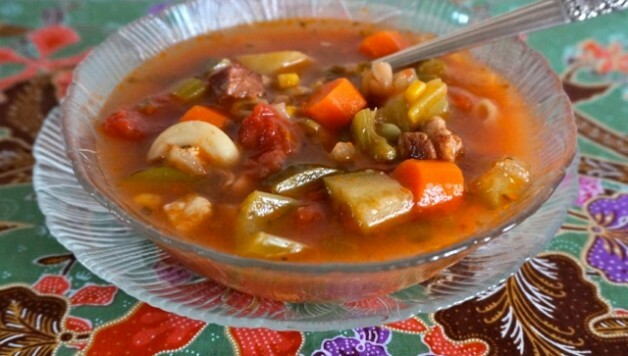 Minestrone is a perfect soup: it’s restorative on a cold winter day because it is so thick and hot, hearty and rib-sticking. And because it is so loaded with fresh vegetables, it also restores hope as it reminds us of greens and gardens and the warm, good weather that’s coming soon. You can enjoy this soup whatever the season, whatever the reason. Crisp the bacon over low-medium heat so that it doesn’t burn or spatter fat. This will add a smokey flavor to your minestrone soup. Crisp the bacon over low-medium heat so that it doesn’t burn or spatter fat. Bacon adds a smoky flavor, but Minestrone is delicious even without it, and if you make it meat-free you can serve the soup with grated Parmesan cheese. 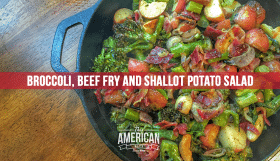 Leave some of the bacon fat in the pan for flavor. Add the vegetables and after they soften a bit, return the bacon to the pan and add the tomatoes, stock and seasonings. I usually use vegetable stock, but meat stock is fine too. Cover the pan and cook the soup at a simmer. Add the beans and either rice or pasta. 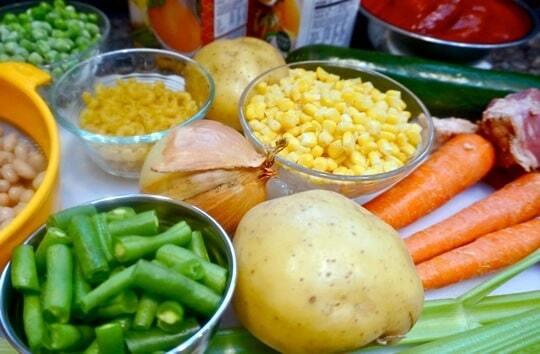 These ingredients don’t need to cook as long as the other vegetables. The soup will be ready to enjoy in 10-15 minutes. 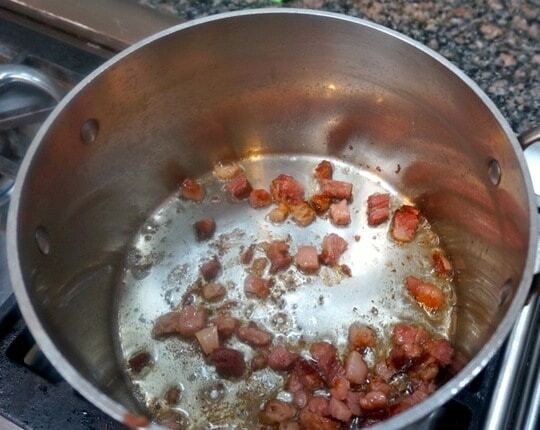 Place the bacon in a soup pot over low-medium heat and cook for 5-6 minutes or until crispy. 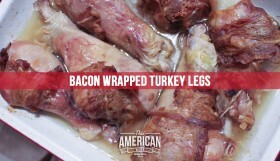 Remove the meat and set aside. Drain most of the fat. Add the olive oil. Raise the heat to medium. Add the onion and cook for 2-3 minutes, stirring occasionally. 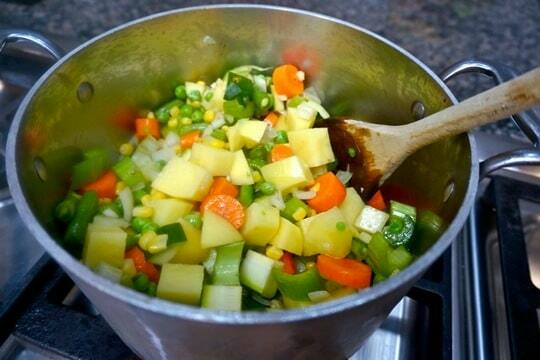 Add the garlic, carrots, potatoes, celery, zucchini, peas, corn and string beans and cook for 2-3 minutes, stirring occasionally. 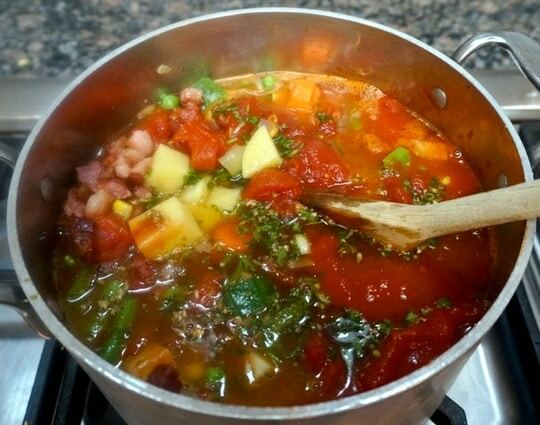 Add the bacon pieces, tomatoes, stock, basil, parsley, oregano and salt and pepper to taste. Cover the pan partially and simmer for 30 minutes. Add the beans and rice and cook for 15 minutes or until rice is tender (if using pasta, cook for 8-10 minutes). Ronnie Fein is a cookbook author and cooking teacher in Stamford. Her latest book is Hip Kosher. Visit her food blog, Kitchen Vignettes, at www.ronniefein.com and follow on Twitter at @RonnieVFein.